Most of my life as a Christian has been lived on the “dark side” of the cross. I was always waiting for the latter rain–the Holy Spirit–someday in the future, once I’d become “perfect” enough and was fit for him to come in. 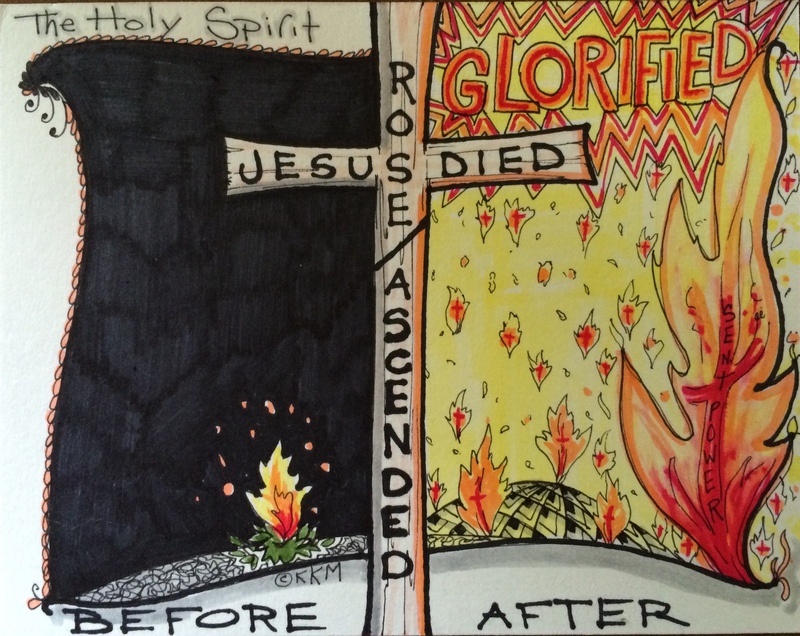 I seriously did not know or understand that there was a difference between the Holy Spirit BEFORE and AFTER the cross! Praise God I now know and have experience the difference–It’s huge–and the difference is available to us all RIGHT NOW! The Holy Spirit’s influence and power were at work before Pentecost, but He was not here. Once our Lord was glorified in His ascension, the Holy Spirit came into the world, and He has been here ever since. We have to receive the revealed truth that He is here. . . When we receive the Holy Spirit, we receive reviving life from our ascended Lord. . . The baptism of the Holy Spirit dos not make you think of time or eternity–it is one amazing glorious now. “This is eternal life, that they may know You . . .” (John 17:3). Begin to know Him now, and never finish. Did you catch the statement “receive reviving life from our ascended Lord?” That’s the POWER-FILLED difference! I no longer am waiting on myself to eventually be good enough to receive a future latter rain (which is, by-the-way, JUST before Jesus comes again–like we know when that is). According to John 17, I can begin to experience KNOWING Christ and His victory in my life, through the power of the Holy Spirit, NOW! And also, according to scripture, eternal life is–knowing Him–Jesus/the Father/the Holy Spirit (GOD)! Another profound thought for me. I can KNOW (be indwelt by) Jesus NOW and begin eternal life NOW! All of which is made available because of Christ’s work on the cross, His ascension to Heaven, His glorification and the receiving of the power of the Holy Spirit for Him so send back down to us on earth. In short–things have changed. It makes a difference which side of the cross you live in–the dark side (occasional visits from the Holy Spirit) or the Light Side (a continual, indwelling of the Holy Spirit), eternal life.